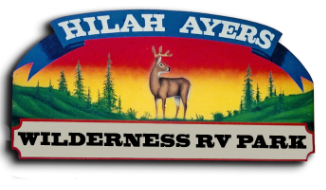 Less than an hour drive south of Edmonton and a half a kilometre from the shores of Pigeon Lake nestled among towering spruce trees at Mulhurst Bay is where you will discover one of central Alberta's most popular summer playgrounds.... Hilah Ayers Wilderness RV Park. - 9 hole mini-golf, beach volleyball court, horseshoe pits, etc. * Business hours are weather permitting and subject to change. Check our Facebook page for updates and click on the menu icon for more details on offered food items. Please read over the agreement as there have been additions & changes made. *Sites can now be accessed and power has been restored early for the camping season. Please stick to roadways, avoid driving on the grass, and exercise discretion when traveling throughout the park until the ground hardens. Condition are being monitored closely and Water will be turned on as soon as frost subsides. **Be aware of relevant fire bans and conditions in the local area - link provided. enjoy campfires responsibly! ***The payment deadline for end of week firewood deliveries is Thursday. Firewood will not be delivered on weekends for safety reasons. ****all BAGS of leaves should be placed at the front of each site for collection. do not put any unaccepted materials in the garbage bins (refer to the attached list below) & Flatten all cardboard boxes before depositing them. ashes exclusively can be put into barrels directly beside the bins, but take caution as Drums & COALS may be extremely hot.